Enjoy this innovative and addictive shooter game that will not disappoint. Choose from a variety of characters, each with its own strengths and weaknesses. Coordinate with your teammates to secure objectives and come out ahead of your enemies. 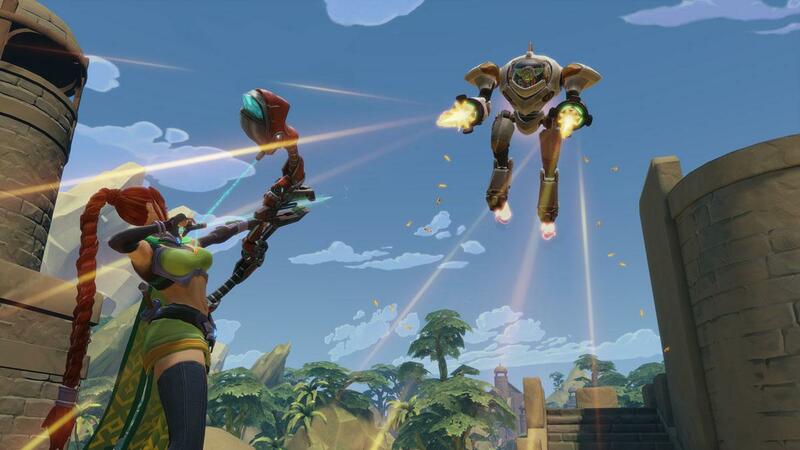 Paladins: Champions of the Realm is a spectacular shooter game that implements a very unique and in-depth character system into the traditional shooting game formula to make for a highly innovative and immersive experience that players will no doubt enjoy. If you’re a fan of fast-paced shooting gameplay but want something with a twist then Paladins: Champions of the Realm will deliver exactly what you’re looking for. Paladins: Champions of the Realm is a fairly unique game so it might be a while before you get the hang of all its basics and get settled into things. Thankfully, the game comes with tutorial matches that have been designed solely for the purpose of easing new players into the game and explaining all the basics to them so they don’t structure when playing an actual PvP match-up. It’s worth mentioning that the tutorial is optional so if you feel confident in your abilities then you can choose to skip it entirely. 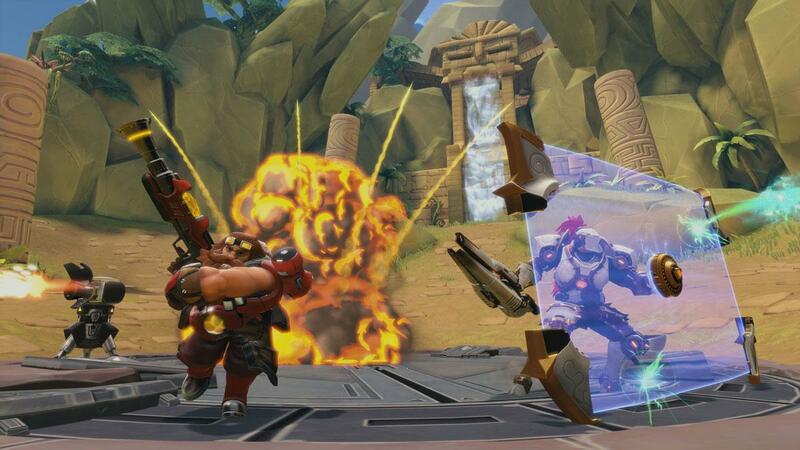 At its core, Paladins: Champions of the Realm can be thought of as a combination of MMOFPS and MOBA gameplay elements. Players get to choose their character from an absolutely massive selection and each character has access to its very own unique set of abilities. The gameplay revolves around coordinating with teammates and eliminating opponents in order to complete the assigned objective of the game mode that you’re currently playing. The defining characteristic of this game is of course the fact that instead of choosing weapons, players get to choose entire characters and this adds an insane amount of depth to the gameplay. Expanding on the characters a bit, there’s an insane amount of them in the game. Each character serves a different role in a team composition; some are focused on dealing damage, some are focused on supportive roles, some are designed to tank damage for their comrades and some are designed for crowd control purposes. Of course it goes without saying that you can’t have too many characters of the same type in one team so you should communicate with your teammates and figure out who’s playing who in order to avoid awkward team compositions. 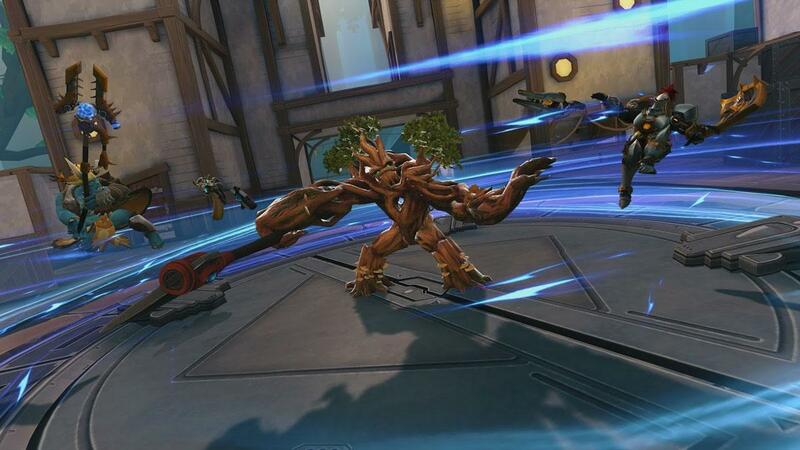 As for its visuals, Paladins: Champions of the Realm is straight up spectacular. The game features extremely vibrant visuals, quality textures in all the environments, top-notch character design and an extraordinary color scheme that elevates everything to a whole new level. On top of all this, the game’s special effects are also a sight to behold because of how fluid they are. The game is completely free to play but you can acquire a bunch of cosmetic items through real world money if you want to add a bit of extra visual flare to your characters. Paladins: Champions of the Realm is an extraordinary game that provides its players with a very unique experience by bringing together the elements of MMOFPS games and MOBAs.